About 4 million Americans struggle with this serious mental illness, typically in their teens or 20s. Learn about one type of treatment that’s quite effective. Perhaps you first heard about borderline personality disorder from a celebrity who has it. (Although plenty of non-famous people have this serious mental illness, too — about 4 million in the United States.) It’s not surprising that some of those affected have star power. “People with borderline personality disorder have magnetic personalities and a strong appeal,” explains psychiatrist Joseph Baskin, MD. The good news is that treatment can be very effective. Also, because borderline personality disorder is typically diagnosed in your teens or 20s, symptoms often improve as you grow up. Borderline personality disorder is different from everyday struggles with intimacy. It’s a persistent personality trait that causes great distress. Your sense of identity keeps shifting, which strains your relationships as you try to gain a sense of who you are through the person you love. Because you live with a constant fear of rejection, you may even leave the one you love “before they have a chance to leave you” — even when they don’t intend to. If you’re in a relationship with someone who has borderline personality disorder, this seesawing between love and hate creates tremendous distress. “They’re pulling you in with their right hand and, with their left hand, they’re pushing you away,” he says. The relationship turmoil others experience is only a small taste of what someone with borderline personality disorder feels. They have deep moments of darkness and ruminate about suicide. 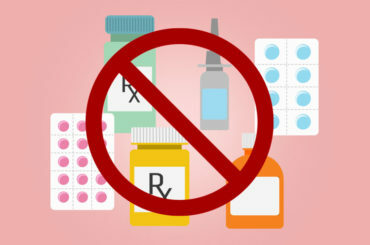 In order to relieve the pain, they often turn to self-injury — typically by cutting themselves (less often, by burning, swallowing pills or bleach, or risky forms of substance abuse). “Self-injury is their strategy for coping with stress — although a poor one,” says Dr. Baskin. Post-traumatic stress disorder (PTSD) is the most common. Borderline personality disorder ranges from mild to severe. The success of treatment depends on the intensity of the illness and on how much insight you have. If you have insight and are diagnosed, you’ll read up on the illness and try to understand it. And what you learn will resonate with you. “Therapy can then open up new ways for you to help yourself and your relationships,” Dr. Baskin says. If you don’t have a lot of insight, you may resent — and fight — the diagnosis. “For some, a diagnosis of borderline personality disorder is a revelation; for others, it’s an insult,” he notes. The most effective treatment for borderline personality disorder is a form of talk therapy called dialectical behavioral therapy. How to process emotions using reason. How to cope with excess emotion in ways other than self-injury. How to tolerate diametrically opposed feelings. “Rather than seeing everything in black and white, therapy helps people with borderline personality disorder learn to live with ambivalence,” says Dr. Baskin. He adds that refocusing energy on helping others is a very effective way to improve your sense of self and relieve symptoms. In fact, because people with borderline personality disorder are so attuned to others, they excel in the helping professions, like counseling, nursing and teaching. Support from loved ones and in the community — for example, through organizations like Emotions Anonymous, a 12-step program — is also key to a successful outcome. Dr. Baskin sees this illness as a disorder of empathy because those affected feel things too deeply. Its cause is likely biological and environmental. Having a parent with borderline personality disorder and/or inconsistent parenting increase your risk. He believes that one day, we’ll understand borderline personality disorder well enough to categorize it as a major mental illness rather than a personality disorder. “This could spur the development of drugs better suited to treat this particular disorder,” he says. They’re flirting with substance abuse. Families and loved ones can find resources such as counseling and support groups through local mental health centers, hospitals and county organizations. The National Alliance on Mental Illness (NAMI) offers free support groups in most communities for those who are ill, and their families and loved ones.